When considering filing for a workers’ compensation claim, it is crucial to keep the statute of limitations in mind. If an injured worker does not file a claim within the allotted time, the claim will not succeed. 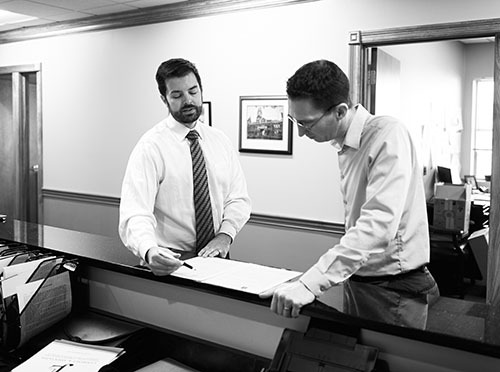 The statute of limitations provides for filing deadlines for Kentucky Workers’ Compensation claims. KRS 342.270(1) and KRS 342.185(1) state that injury claims must be filed within two years of the date of the accident, or last payment of voluntary income benefits, also known as temporary total disability benefits (TTD), whichever occurs later in time. “Income benefits” are defined in KRS 342.0011(12) to be those payments made per KRS 342 to the disabled worker or his or her dependents in case of death, excluding medical and related benefits. For instance, if an employee is injured at work on January 1, 2012 and paid TTD by his employer until January 1, 2014, he has until January 1, 2016 in order to file a workers’ compensation claim. Where TTD has been terminated by the employer, the employer must notify the Department of Workers’ Claims of the termination so that the employee can be advised of his/her right to file a claim. Failure to notify the Department of Workers’ Claims will toll the statute. City of Frankfort v. Rogers, Ky. App., 765 S.W.2d 579 (1988). With regard to injuries that develop gradually from the repetitive trauma, the statute of limitations begins running when an employee has been told by a health care professional that the injury or condition is work-related. Often times, an injured worker won’t know that his or her injury caused by repetitive trauma may be covered under workers’ compensation; however, in many cases, workers’ compensation will cover the injury as long as a medical professional opines that the repetition caused the injury. Lawrence & Associates is dedicated to helping work injury victims in the Greater Cincinnati area receive the compensation they deserve. If you or someone you know has been in an accident at work, call Lawrence & Associates today.